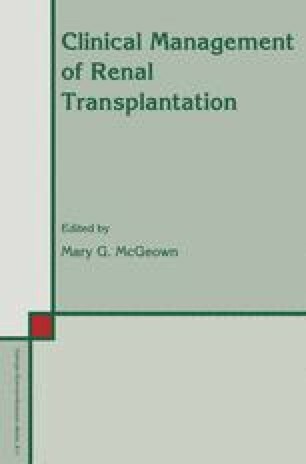 The object of preparation for transplantation is to ensure that the donor kidney is accepted with the minimum risk of rejection or complications. In addition, however, pre-transplant survival and quality of life must be considered. The patient may spend many years, first with conservative therapy and later on dialysis, before a successful transplant is eventually achieved. All phases of survival are important and nothing should be done which benefits one at the expense of another. For example, bilateral nephrectomy brings some advantage for the transplanted patient but may affect the quality of life on dialysis. Multiple blood transfusions improve uraemic anaemia but may compromise transplantation by encouraging the formation of cytotoxic antibodies. At all times the overall welfare of the patient must take priority over the specific benefits expected from individual treatments.